I’m back with part 2 of the bonus room renovation. The last post ended as we were priming the walls. I forgot to mention that Jeremy’s parents came over and helped us to close in the side of the beam facing the kitchen. Judy even screwed in some drywall! Way to go, Judy! Finally we were ready to paint the room! We selected a dark color and I definitely don’t love it. I wanted a dark mauve but its leaning heavily toward purple. I also don’t know how I feel about keeping the brick columns white versus painted. Either way, we don’t really have the time or desire to re-paint this room, so we will leave it this way for now. Jeremy then sanded down the original window trim and spray painted them with primer. The spray paint version of primer worked well for this task. Then our friend David came over and helped us install the window trim. We love any opportunity to use our nail gun, and David expertly nailed those trim pieces into place! Re-installing original window trim isn’t too hard if you are patient and very careful to put the pieces back in the correct order. After nailing them in place, we filled the nail holes and painted them Super White by Benjamin Moore. Honestly using a nail gun is fun! Removing the floor covering to reveal a nicely finished room! So here it is….the almost completed sun-filled bonus room! We still need to finish installing the baseboard trim, switch out the light fixture, and MAYBEEEEE repaint the walls, but for now the room has truly transformed! Our (almost finished) sun-filled bonus room! The only funny thing about stripping 100-year old paint off of wooden trim is all the jokes about stripping you can make. Jeremy and I have been stripping paint off our window and door trim in the bedrooms for what seems like an eternity. Stripping paint is time consuming and nasty. We are using a less harsh chemical called Citristrip, which does not produce any dangerous fumes and is safe to the touch. The downside is that it take a lot longer to work and doesn’t always do it’s job on the first try. Our goal is to strip off several layers of paint to reveal the original profile of the wood beneath. Our house came with incredible original trim full of unique details that have been covered in gloppy paint over the years. Stripping them will allow us to start fresh. A few weeks ago during demo, Jeremy and I ever so carefully pried the trim off the windows and doors, careful not to snap or crack the pieces. They really don’t make trim like this any more. The wood is real and HEAVY! The trim is comprised of several pieces of wood that were nailed together to create the final look around the windows and doors. I was nervous that we might not be able to put them back after we painted them, there were so many pieces! Our collection of wooden trim, removed from all the windows and doors to undergo stripping! Realize they all have huge nails sticking out of them so you can’t start stripping them yet. Purchase an actual nail remover tool–this one allows you to pull them through the wood with incredible ease. Slather on a thick layer of Citristrip. Wait 2 hours. Do not resist the urge to check if the stripper worked after only 45 minutes. Find something else productive to do during the waiting period. Use a plastic putty knife to scrape off the now liquefied paint+chemical goo mixture. Use a 5 in 1 metal tool to scrape the paint off the really hard to reach crevices in the wood, but be careful not to scratch or nick the wood. Proceed to remove all liquefied paint goo from wood, while covering your entire body, hair, and hands in it. Dip steel wool into mineral spirits and rub across wood to remove any remaining blobs of paint and stop the chemical stripping process. If after you do all 13 steps there are still spots of old paint on the wood, you must start all over again, to remove the even OLDER layers hiding beneath! It’s been incredibly time consuming to say the least. Hopefully it will be worth it and our trim will be a major showpiece in each room. Due to poor timing, we also had to strip paint off trim in the hall bathroom while it was still attached to the wall. We needed to finish it fast because we hired a handyman to help us redo the bathroom and needed to strip the wood ASAP before they started installing new tile and walls. Say goodbye to this putrid color! But the fun doesn’t stop at stripping paint! No no…as if we haven’t suffered enough, we decided to refinish the wood trim around the 5 doors on our second story landing. The door trim were stained and poorly sealed with a varnish that dried in a bumpy, clumpy, discolored crocodile skin pattern. I attempted to sand the stain and poly off, but after a mere 10 minutes using a hand sander, it became clear that it would take several years to get through all of it. So we turned back to the chemical stripper. After several rounds of stripping stain and the sealant off the trim, it is finally ready to refinish! After photos will be posted in the next few weeks! After several rounds of stripping, the raw wood was revealed below! 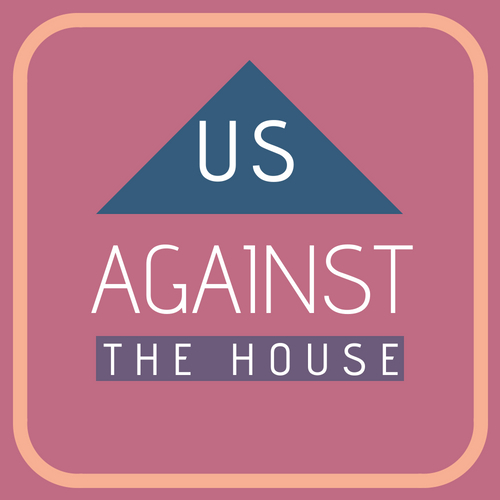 We are doing all of this because we really want to preserve some of the historical integrity of the house. 100-year old homes in DC have so much character, and all of this work to restore and reuse some original pieces will hopefully make our house stand out! It’s been one week since we returned from our fabulous vacation and SO much has happened in the house. For the first time in a long time, I feel calm and in control of the next few weeks. We know exactly what we need to accomplish between now and December first. The list is long and highly aspirational but at least it lays out our plan. Meanwhile, last week the DC government came to the house and inspected all the work we’ve done so far and gave us the green light to keep going with our MASTER PLAN! Next week a company is going to remove the load bearing wall that goes the length of our main level. We were told we could save $3-4K if we did all the demo work ourselves—by demo I mean removing all the plaster/lath/drywall on top of the studs in the wall. So dammit, remove it we did! Of course we had tons of incredible and much-needed help from friends (thanks to Julian and Matt for channeling your brute strength to smash through all the walls) and stripped all the walls bare in just two days! Unfortunately, demo produces a LOT of garbage. In just two days, we filled 3 Bagster dumpsters (with a combined capacity of 9,000 pounds)! Julian went to town on that wall! Matt literally smashed this wall to bits in only 2 hours! Our house came with a fake fireplace. We knew it was fake and assumed it was just a thin brick façade. Turns out it was actually a full-sized fireplace made out of genuine (heavy) brick—except it was not connected to the adjacent chimney and therefore completely inoperable. Jeremy destroyed it with a small jack hammer while Matt and I helped him carry them out of the house. Cute enough, a previous owner had installed a fake log with a built-in light bulb (for warmth?). All of this work has helped to expose several square feet of living space that had previously been occupied by a useless pile of bricks. Tons of old bricks…what should we do with them? On Sunday, our friend Lauren came over and helped us think out plans for our kitchen remodel. Always invite your architect friends over on the days you are finalizing plans for a kitchen remodel. She also helped us yank all the nails out of the window and door trim that we want to re-use. After marking on the floor where we envision the new island, we took a field trip the greatest place in the world. We are designing our kitchen using the frames of Ikea’s kitchen cabinets but covering them with the beautiful doors from SemiHandmadeDoors. Their doors are heavier, thicker, and more customizable than the options at Ikea, but still in the mid-level price range. And lucky for us, Ikea is having their annual kitchen sale in two weeks! I love Ikea. It’s like a playground for adults—with meatballs!! Soooo many activities happening in the house right now. We hired our favorite handyman to help out over the weekend because, let’s face it, we move really slow. He helped us add outlets in all the bedroom and change the location of the lighting fixtures on the ceiling. In prep for putting up drywall, we had to carefully pry all the old, beautiful, heavy wood trim off every window and doorframe. We hope to refinish and reuse the original trim because you can’t find that kind of high quality real wood anymore. We started to pry off the beautiful door trim so we can re-use it after the walls are done. Work always goes faster when friends come to help! Jeremy and his buds and I started putting up drywall. The bedroom already looks so much better. We bought a drywall lift to assist us to hoist up the drywall and it was a lifesaver. This thing costs $130 on Amazon, compared to renting from Home Depot for $45 per day. We know we’ll get a lot of use out of it as we put drywall up in all the bedrooms. We also bought these cute little guys to help us put up vertical drywall on the walls. Alan and Chris came to save the day! Loving these little drywall lifting tools! Drywall is heavy and awkward to maneuver but the lift helps a lot. No room is perfectly square or rectangular, and our old walls and ceiling aren’t perfectly flat or level. Installing drywall requires lots of patience and measuring to get the piece the exact right size. Plus we need to cut out spaces for light fixtures, ducts, closet openings, etc. The process is slow but we are learning as we go. One painful lesson we learned and and tip I would share with anyone doing their own drywall is to purchase a single sheet and test it in your home before buying 30-50 sheets. We didn’t do this, and learned the hard way that the extra long size we bought was too long to fit up our staircase…now we are stuck with 45 heavy huge pieces of drywall that we must manually cut to downstairs before installing upstairs. I’d also recommend buying less than you think you’ll need because it’s just so big and heavy that disposing of excess when the project is over will be a huge headache. I’ve also been smoothing out imperfections in the plaster wall in the master bedroom. We’ve decided to keep two of the existing walls as plaster and not cover them with drywall because they’re in pretty good shape and plaster has so much more character. Unfortunately one wall had taken quite the beating so I’ve been filling holes with joint compound. There have been continual delays in turning on the HVAC system that I won’t go into too much detail on—suffice it to say that our contractors are all annoying in their own special ways. All that’s left is installing two outlets in the attic and then they can turn on the air! All this demo and construction has produced a ton of debris, and we had been piling up old pieces of wood, trim, bags of plaster, and any other construction garbage in the bonus room/addition on the first floor. We discovered this awesome pop-up construction dumpster at Annie’s Ace Hardware in petworth. For only $130, this company picks up the dumpster from your house and hauls it away. It can hold up to 3,000 pounds! Unfortunately with this hurricane coming toward the east coast it meant I had to load it up in the rain on Sunday, but at least now we have our bonus room back!